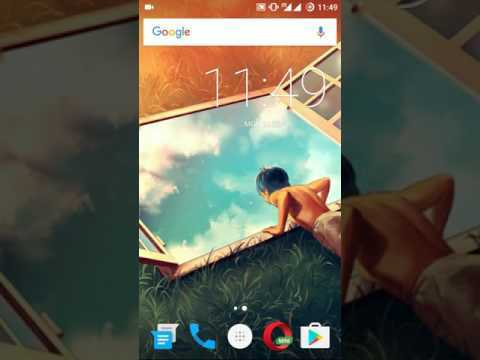 How to Fix 'Unable to Click on Install Button during APK Installation'? Fix the problem if you are not able to click on the install button or cannot hit the install option on Android for downloaded Apk. Google is very strict in keeping the device secure and safe. So, if you are unable to hit the install option button when you try to install an APK file downloaded from a 3rd party website apart from Google Play Store then Don’t worry. Your device isn’t harmed but it is actually a security measure taken up by Android environment so that an app can’t force you to download something malicious. The first thing you need to do is, disable any screen overlay apps like Screen Dimmer, Bluelight Filter, Screen recorder, Juice Defender or any sticky icons which use a screen space like one-click RAM Booster or Junk Cleaner. Disable any such App which overlays the original screen, clear the recent Tabs if you wish and again locate the APK file. Now will be able to click the install button. As I said the issue is only with 3rd party downloaded APK and you can install the Apps downloaded on Google Play Store. If you are unable to fix the issue with solution 1. or unable to find the App causing the problem then the Install Button Unlocker can fix any trouble with the inability to press the button. Step 1. Turn ON the Switch ON button on top-right corner of the App. Step 2. Enable the Accessibility permission to the App. Step 3. Now locate the APK file which you wish to install. Step 4. You can now Hit the Install Button for downloaded APK file. In Android 5.0 or later, an error may occur. If an error occurs, install the “Alert Window Checker” from below, please stop the app that inhibits the activation. Conclusion: Fix the issue related to installing button not working due to screen overlay issues with the solutions above. I hope the post was helpful. Do comment below for any further assistance or support. If you've any thoughts on Fix – Unable to Click the Install Button on Downloaded APK File, then feel free to drop in below comment box. Thank you. I was thinging why is it not working but the first solution was worked for me. because I was using Twilight, thank you. Thanks a lot. Solution 1 worked for me. Thanks. solution one worked right away. Thanks a bunch solution 1 worked for me!